Just over a month ago we launched our very first, official Power Tools & Pretty Things DIY Class. We teamed up with Simpson Strong-Tie™ to bring you DIY DONE RIGHT® project! 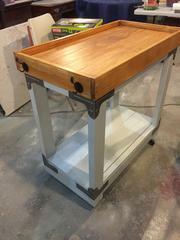 Our first two Power Tools classes focused on the Indoor/Outdoor Bar Cart. So why did we partner with them? Well, their Simpson Strong-Tie® Rigid Tie® RTC2Z connectors make it so so easy for beginner builders! 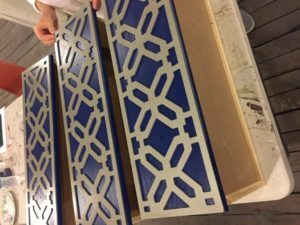 What is Power Tools & Pretty Things? 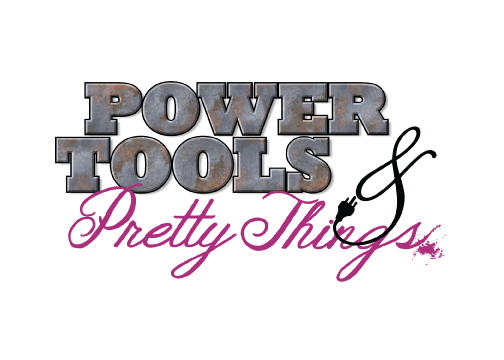 We have officially launched Power Tools & Pretty Things. What does this mean for Rescued Furnishings? No, we aren’t changing, Don’t Worry! Basically, we are branding our DIY classes and adding power tools classes. This will let people get a lot more hands on! Slowly but surely, we will be transitioning to Power Tools & Pretty Things being the Rescued Furnishings blog and class side of the business. While Rescued Furnishings will remain the furniture/kitchen/design and brick and mortar side of things. If you are like me, winter already has you down! Have no fear, you have something to look forward to! We had an all day DIY event in November. It sold out in 3 weeks! 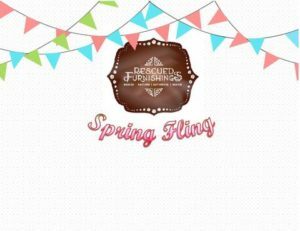 We are announcing our spring event (only 3 months away!) with 12 more available spots! So many changes and things planned for this event! We are so SO excited!! All the details are below and you can purchase your tickets here. For large groups, contact us for a discount! We expect that our new line of DIY classes will sell out at St. Louis Vintage Market Days in Highland, IL. So hurry and register for yours today! Classes start at just $30! We are so excited to be offering EIGHT different classes this fall. There are a lot of different classes out there offered, so you may be thinking…why take ours? You don’t have to take a class to be able to use our products, but our classes will eliminate trial and error….